We all have our reasons for changing our diet. Believe it or not you could very much in the same boat as me. I was a healthy weight and not too thin. I would snack a lot on sugar and not see any change in my appearance. My old school thinking of diets was that they were just for fitness freaks who didn’t know how to enjoy life. I could eat and do whatever I wanted and everything would be fine… wow was I mistaken. On a summer holiday in Malta, I was playing by the rock pools with my partner and I slipped…my foot planted firmly planted in a tight gap in the rocks while the pressure of my fall pushed my leg the other way.. The pain was excruciating and I found out the fall had broken my leg. What a way to ruin the holiday. I spent the rest of the summer in a cast. The boredom killed me! It didn’t help that I still had the awful sugar cravings and eating habits of my old-self. I found myself snacking on anything and everything. Sometimes it was outta boredom other times out of my huge sugar cravings. That summer I balooned in weight. The weight collected around my belly and my cheeks felt like they had morphed into babies chubby cheeks. If you think it couldn’t get any worse…it did. Boom! Out of nowhere I got this horrible skin condition called psoriasis. It started out on my forearms and gradually spread to all over my body. For those of you who don’t know what that is, its these horrible red spots that flake and itch like crazy! I never been into diet. I thought diet was just for fitness freaks who didn’t know how to enjoy life. But boy was I wrong. A good diet is essential to looking and feeling great. However, most importantly a good diet is crucial for healing you body and keeping your internal system healthy and strong. Were discovering more everyday about the powerful effects of diet on the body. Especially in today’s society where the mass production of food to feed the growing population means that healthy nutritious food can be lacking of all ingredients. Years of bad eating habits had caused me to get conditions I thought never knew existed. How I fell into the Keto diet. When you have a problem search for a solution. I started browsing the internet looking for ways I could lose weight, clear my skin and remain healthy. 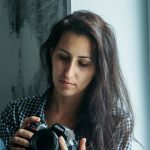 I came across a person called Thomas Delauer who talked about the benefits of keto. With all the great positive feedback of the diet I thought I had to try it out. The shocking information I found also transformed the way I view carbs. TRUTH IS… Humans do not need carbs as an essential component for their diet (See clinical research by Eric Westman). Now I know this sounds obvious that you gotta cut out carbs to lose weight but the science behind it was what really sold me. Carbs provide very little value unlike protein which is responsible for repairing muscles tissue. In my busy life I found that meal replacement shakes are great if your feeling lazy and need a quick meal for lunch, breakfast or post workout. Meals can be annoying to prepare. With a meal replacement you don’t have to worry about a dam thing. You get a low carb shake with all the nutrients of a meal that can easily be made in 5 minutes. They have been absolutely fantastic in helping me reach my nutrition and fitness goals. Essentially you want a shake that acts a proper meal replacement without an overload on carbs. The shakes below all have the best nutrient content and are super healthy. My favourite Keto friendly shakes. Oh my lovely vega one. Where would I be without you my love? I have been using this shake for quite some time and it’s my main go to shake when it comes to replacing a meal. In terms of nutritional value it is super healthy. One of the concerns about replacing a full meal is not getting all the nutrients. Although nothing will ever substitute whole foods vega one comes as close as you can get with a shake. Everything is certified and responsibly sourced. In addition, the shake comes in three great flavours to satisfy your taste buds. I personally enjoy the chocolate and french vanilla flavours. Protein: All protein sources in Vega One are plant based goodness. Plants lack all the amino acids contained in whey protein. However, that does not mean you can’t still get all the amino acids needed if the you combine multiple plant proteins. Vega one checks all boxes containing pea, hemp, chia protein, so you can be sure to get all the benefits of amino acids of a full protein source. The benefit of protein is that it allows your body to recuperate and maintain and keep muscle mass. Fibre: 4 grams of fibre are in Vega one. Flaxseeds and chia seeds are the ingredients which make up the fibre. Why do you need fiber? THe main benefit of fibre is that it helps with digestion and absorption of fats and sugar in the intestine keeping your digestive system healthy and efficient. Another huge benefit is it speeds up the process where waste is removed from the body. Vitamins: There are many vitamins in vega one. The vitamins are plant based and organic, meaning they come from whole food ingredients. No artificial synthetic vitamins derived from labs. There are hundreds of reasons why vitamins are great for the body. The most important ones are that they keep you immune system healthy, maintain your central nervous system. They also are great for your bones and healing wounds. Greens: Super greens are one of the most important ingredients in a shake. So I am glad there are a good variety of greens. Greens have a auto immune effectancy and help digestions and well as healing. Greens are plentiful in vega which includes kale, spinach, chard and lettuce to name a few. However I would stay away from from the mocha as It was quite right for my taste buds. However, if you love mocha knock yourself out. 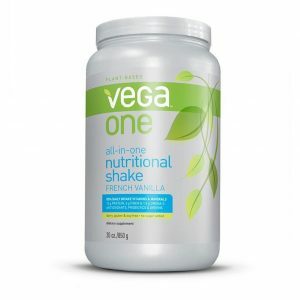 I have always been a fan of Vega one purely for its nutritional value and the fact the shake is made from plants. Considering my poor health in the past I always try and go for plant based shakes with the exception of primal kitchen mentioned below. I believe plant based protein sources like Vega one are the healthiest in terms of their nutritional value. Whey protein shake is effective but it’s important to remember that whey protein is processed. You may wonder why you can feel stomach cramps in your gut after taking the shake and that because your body is finding it difficult to digest whey. Although the few are mixed reviews on taste like their are with any shake I would over look this fact to know your getting quality ingredients. To help you reach your ketogenic goals the shake is high in protein and low in carbs too which is perfect for ketosis. Garden of life is another one of my favourites. It’s perfect for ketosis too! The shake contains very little carbs and lots of protein. Combine this with probiotics, super greens, you have effectively, healthy fat, enzymes and minerals you have effectively a beast of shake. Garden of life like to describe their product as several shakes in one. I couldn’t agree more with this statement as they definitely go all the way when providing as much nutrition as they can for a affordable price. Protein: 20 grams of plant protein. If you have two scoops thats a whopping 40 grams of protein right there. This is perfect if you hit the gym and need the protein to build and restore your muscles. It’s also perfect if you don’t hit the gym and are following the keto diet. Protein will keep your muscles nimble and provide energy for your day. Probiotics: you can’t underestimate the power of probiotics. They directly impact the gut. If you going for a full meal replacement probiotics are a must. They are so important for gut health and digestion. There is a reason why many auto-immune diseases suggest probiotics because they have a special power to heal. Vitamins and minerals. What exactly do you mean by vitamins and minerals? Garden of life is jam packed with 21 vitamins and minerals. These are all vitamins and minerals you would find in a whole food shake for example vitamin A,B,C,D,E,K. 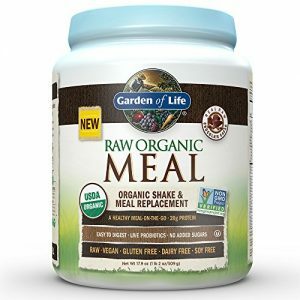 I have tried garden of life and would 100% recommend the product if your thinking about adding a meal replacement into your diet. As always I go for shakes that provide the best nutritional value and are great tasting. Garden of Life ticks those two boxes so its’ a win win. 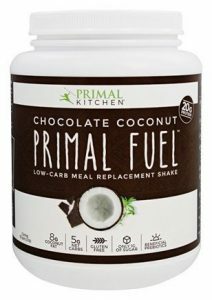 Primal kitchen has healthy coconut fat. Low sugar to keep gluclose levels low. And high protein. All the components to keep your body in a fat burning state all day every day. Now this is my recommended alternative if your not into plant based proteins. I always try and take plant over whey protein, however, primal kitchen is my exception due to the fact this shake is so high quality. If you really are a taste junkie and gotta buy on shake primal kitchen is probably the best tasting whey protein meal replacement shake out there. Judging by the numerous reviews online many customers love the taste. See for yourself on Amazon. Proteins. 20 grams of whey protein isolate which is the best type of whey protein. The difference between isolate and normal whey is that isolate has a higher concentration of protein with less fat, lactose, and carbs. I like to think of it as isolating purely the protein content from whey and removing the crap. I don’t know many shakes that contain coconut milk but Primal kitchen does. I believe it provides the creamy thickness when your drinking the shake. Whereas some shakes are more chalky and clumpy the texture is a more creamy which provides a nice mix. There are 9 grams of healthy fat. Most shakes you see 9 grams you would question thatmaybe it could be lower. Remember this is healthy fat and its perfect for keeping your body in a state of ketosis. Fat will kill hunger pans. Comparing this shake to the others on my list it has the most carbs at 190. I believe this is a good thing to help you reach your keto goals. Sugar: You don’t have to worry about high sugar levels. At 1 gram of sugar, primal kitchen has hardly any sugar. If you care solely care about taste this shake is amazing! It doesn’t come out in gritty clumps, mixes well, and tastes like its description. Creamy chocolate goodness with hint of coconut. Prebiotics. Unlike vega one and garden of life, there is no supergreens, vitamins, or Probiotics. However, there is a healthy mix of prebiotics. It is useful to note the difference between pre-biotics and pro-biotics. Pre-biotics are of pre nausal where as post is post biotica. Pre biotics all help towards building a healthy gut that is able to eficiently remove toxins and keep your immune system healthy. No artificial sweeteners and flavors. This should always be a no brainer when buying a shake. But believe it or not there are still shakes out there that have artificial flavours. I like to take shakes that are as clean as possible . 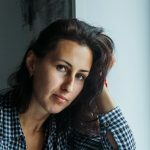 How I use meal replacement shake for ketosis? Whatever you do don’t forget the importance of water. Its the perfect detoxer but also great for losing weight as it flushes out the system. Tip: I get a good ole 2 litre bottle and squeeze lemon and drink out of it. But don’t forget your straws. Lemon can be corrosive on your teeth due to the acidity. So drink through a cople straws or gulp it down quick. Plain greek yogurt is a tasty snack to add into your diet. Its high in protein and low in carbs. But most importantly it can also help fill you up. I normally combine these with almonds or cashew nuts and berries when it comes to my snacks.. Any forms of seeds is fine though. Feel free to try chia, flaxseed and chia which are ones I all try. Taste amazing. Best tasting meal replacement shake. Since going on the Keto diet and taking my nutritional shakes to aid my progress I have not only lost weight but also cleared up my skin from psoriasis. I’m just so glad I made a lifestyle change to be more healthy and take interest in my body and health. If your are going for taste and a higher healthy fat content then pick Primal kitchen. The taste is amazing. The shake is also packed with a healthy amount of fats and pre-biotics. However, if you want more nutrition packed into your shake such as greens and vitamins then Vega one and Garden of Life are absolutely fantastic. Either way, whichever shake you go for, know that you are getting a high quality product. As always, be sensible. Don’t replace all your meals with shakes. One and at the max two shakes a day is all you need to do. I highly recommend purchasing from Amazon to save you money. They normally have the best deals and fast free shipping. Vega One official website also have some great deals for their meal replacement shake. 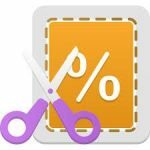 The latest promo code I found was “Juiceday” if the code is still around on the homepage. Hope you like my favourite keto friendly meal replacement shakes! Now go out there and conquer your goals!